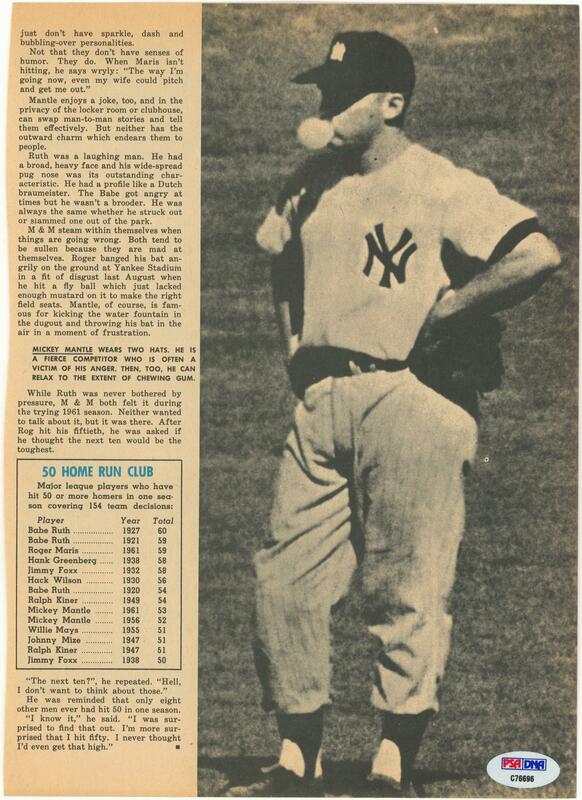 Baseball’s second single-season home run king Roger Maris has signed this magazine page. Maris, traded from the Kansas City Athletics to the Yankees before the 1960 season, won the 1960 American League MVP award before uncorking a then-record 61 home runs in a repeat MVP year. 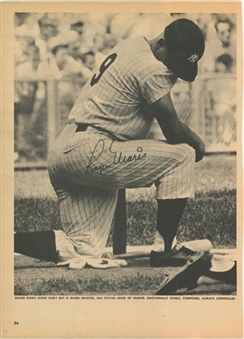 Although Maris’ body did not hold up over the course of his career, his number “9” was retired by the Yankees in 1984. Maris has signed this magazine page from an unidentified publication in black marker. The photograph shows Maris kneeling in the on-deck circle, with his head touching his right shoulder. This magazine page comes with a LOA from PSA/DNA (C76696).